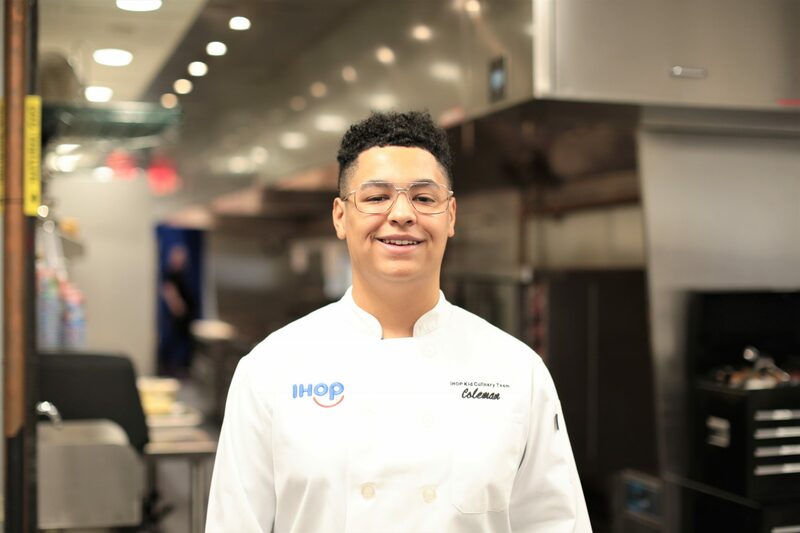 Partnering with IHOP, CMN Hospitals put out a call to current and former CMN Hospitals patients to dream up their best pancake creation for the chance to join the IHOP Kid Chef Team and ultimately have their pancake appear on the IHOP menu in support of IHOP Free Pancake Day. The team was invited to cook their recipes in the brand’s test kitchen and then serve as ambassadors for the CMN Hospitals fundraising campaign running February 1 through March 12. Brody Simoncini is a funny, active six-year-old with a love of sports, particularly Boston sports teams. He was born with Giant Omphalocele, a rare and life-threatening abdominal wall defect that caused some of his organs to be on the outside of his body. Brody spent the first seven and a half months of his life at Boston Children’s Hospital, where he underwent multiple surgeries, including open heart surgery at just two-months-old. Brody has recovered more and more, year after year, and now all the machines and tubes have started to become distant memories. Brody’s smile and personality can light up a room. He is an active first grader and plays flag football, baseball and basketball. He also loves elephants, to dance, make people laugh and spend time with his brother and cousins. Brody’s pancake creation is the OREO® Oh My Goodness pancake because Oreo’s are his favorite cookies! Nellie Mainor is a sassy, sweet eight-year-old with seven older siblings and a love for singing, particularly with her family. Nellie was diagnosed with Dense Deposit Disease, a rare kidney disease that stops the kidneys from correctly filtering waste from the blood. Because of this disease, Nellie is in chronic kidney failure. Nellie went to Primary Children’s Hospital in Salt Lake City three days a week for dialysis, and every other week for an infusion for a blood disorder related to her disease. Nellie recently had a procedure that allows her to do dialysis from home, ten hours every night. Nellie’s PaNellie Unicorn Cakes creation is based on her love of rainbows and unicorns. Coleman Giles is a thoughtful and caring 15-year-old who loves skateboarding, playing with his dog and doing anything related to computers. He was six-weeks-old when he was diagnosed with cardiomyopathy and taken to Children’s Hospital Los Angeles (CHLA). His heart lasted until he was seven. While waiting for his new heart, Coleman went into cardiac arrest and had to rely on the Berlin Heart, an artificial heart pump, until his transplant arrived. Coleman got his new heart and never looked back. Today, he volunteers at CHLA, feeds and helps the homeless, and is working to become an Eagle Scout. Coleman’s pancake creation is The Hawaiian Luau pancakes that his grandfather helped him create. 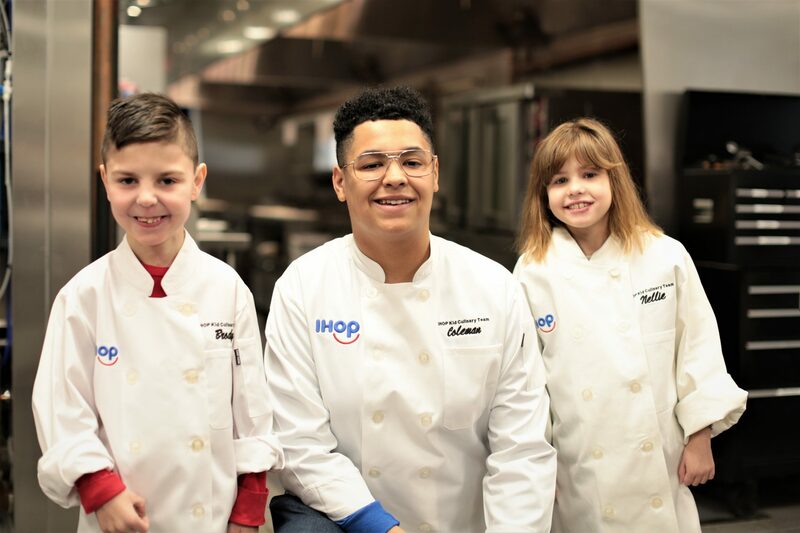 Earlier this month, the kids traveled to IHOP headquarters in Glendale, CA to see their pancake recipes come to life in IHOP’s official test kitchen. After having a special breakfast and meeting some of IHOP’s executives and some surprise celebrity judges (Jana Kramer and the 2018 Kid Chef winner Starla Chapman) the kids made their pancakes and presented them to the judges. Each child will be a wonderful ambassador for their hospital and our cause during the CMN Hospitals fundraising campaign and IHOP Free Pancake Day on March 12 as they participate in media events and a ceremonial pancake flip and ribbon cutting to kick off IHOP Free Pancake Day. 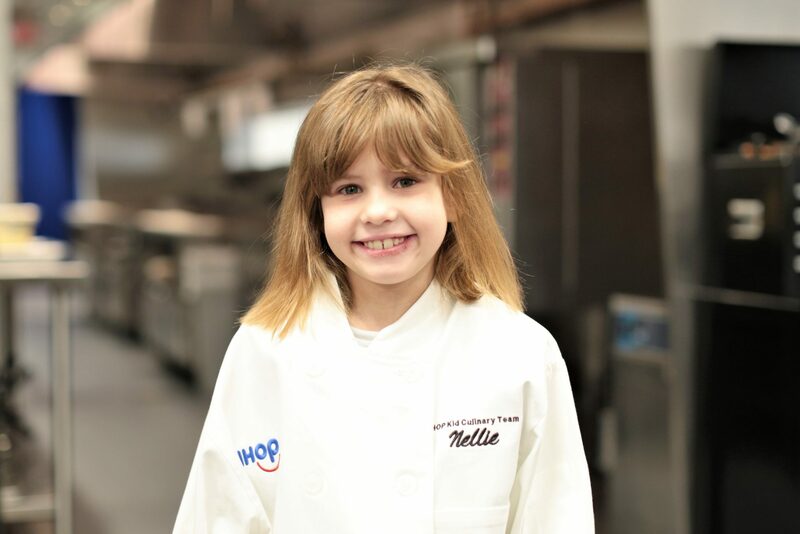 To read all about each of the kids and see how their special day in IHOP’s test kitchen went, visit our IHOP Free Pancake Day page. Previous post: Meet our 2019 National Champions. 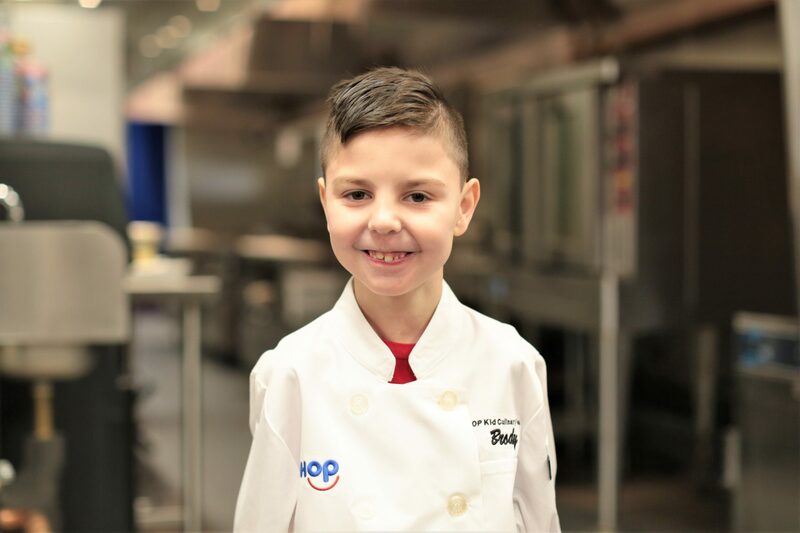 Next post: Meet IHOP Kid Chef Brody!